Get tested and know your status. 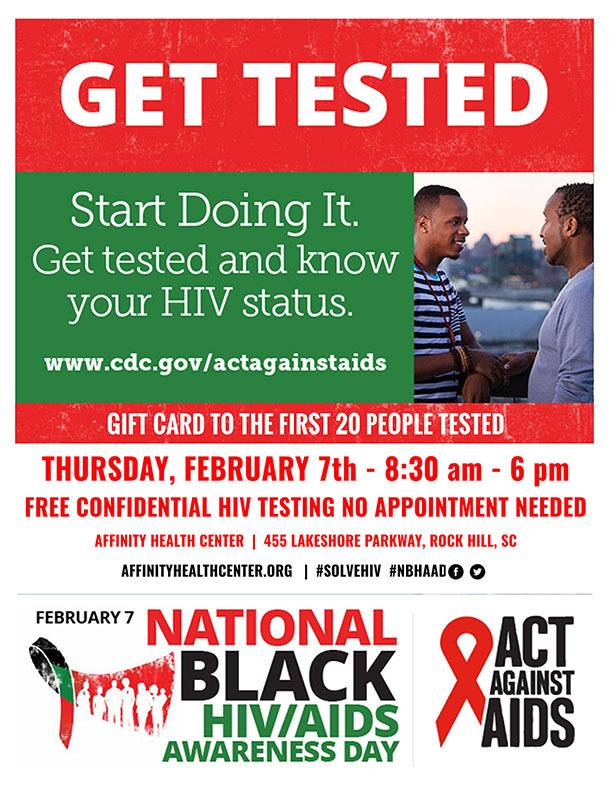 The first 20 people tested receive a gift card during National Black HIV AIDS Awareness Day on Thursday, February 7th. Free rapid walk-in HIV testing 8:30 am – 6:00 pm..